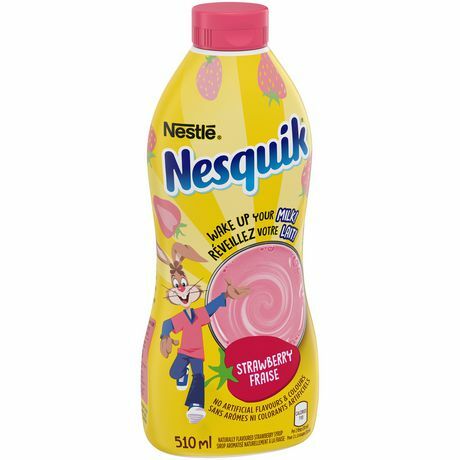 NESTLE NESQUIK Iron Enriched Strawberry Flavoured Syrup (510 ml) is fruity twist on NESQUIK that’s sure to add some fun to your kid’s milk. Quick and easy, simply mix 1 tablespoon of syrup into 250 ml of milk for a delicious glass of Strawberry-flavoured milk! It’s a great compliment to breakfast, enriched with iron to promote the maintenance of your kid’s good health. 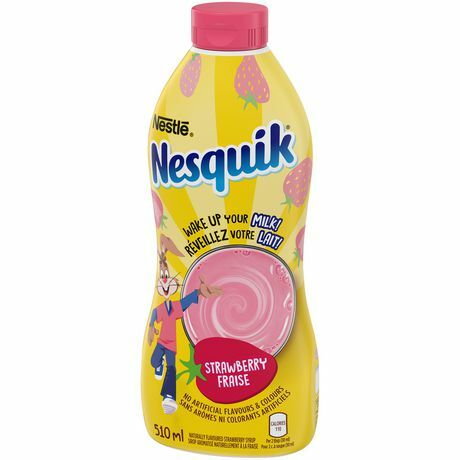 • Enjoy NESQUIK as part a balanced breakfast, with a fruity twist of Strawberries! 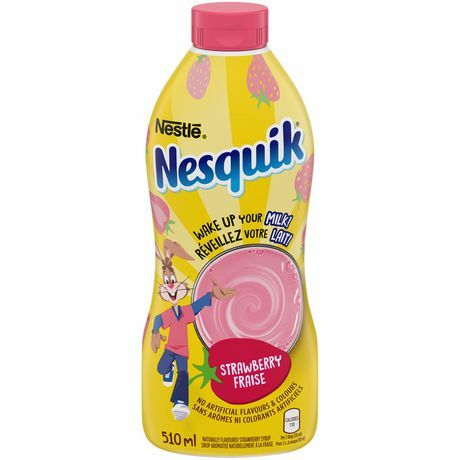 • Quick & easy: mix 1 tablespoon of syrup into 250 ml of cold milk — enjoy! • Dissolves quickly in hot or cold milk. • Enriched with iron to promote the maintenance of your kid’s good health. 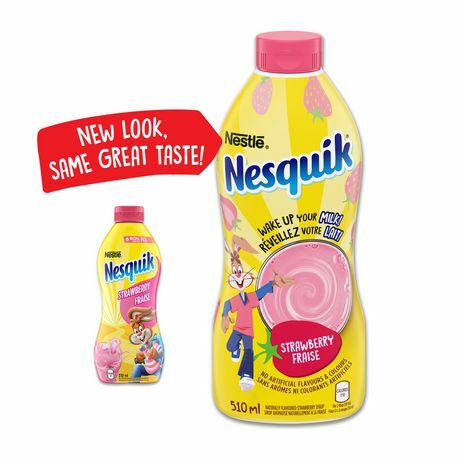 • Spread some fun around by adding NESQUIK to other delicious treats like ice cream, yogurt and sliced fruit. • 50 calories per 1 tablespoon serving (15 ml). 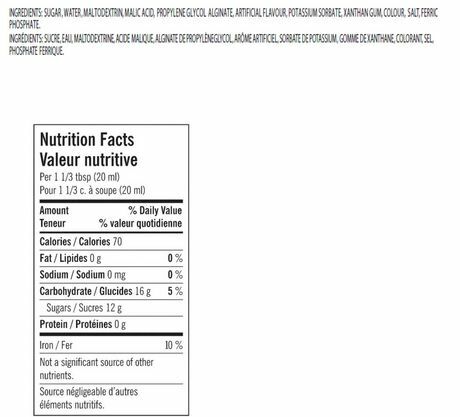 Sugar, Maltodextrin, Water, Flavour and Artificial Flavour, Malic Acid, Potassium Sorbate, Ferric Phosphate, Colour, Salt.